The Danish have a practice called “Hygge” (pronounced hoo-gah), which consists of enjoying life’s simple pleasures. For me there is nothing more “hygge” then sitting in a coffee shop with a nice cup of coffee, a book or something to work on. If you aren’t familiar with hygge, I recommend googling the practice or checking out Meik Wiking’s “The Little Book of Hygge”. While Starbucks is still a guilty pleasure of mine (who doesn’t secretly love Passion Tea? ), there’s something more gratifying about going to an independent or “mom and pop” coffee shop that serves coffee in actual ceramic mug. To me, it feels more like a mini community than a place you look to get your next caffeine fix. With the introduction of the mobile ordering at Starbucks, no one has to spend any time in the actual coffee shop. Coffee has become a cold efficient process rather than an escape from the everyday tasks. Whenever I travel, something I have to research is which coffee shops I want to visit in that particular city. I’ve judged many cities like Montreal, Charleston and Chicago based on their cups of joe. With a New York trip coming up for me next week, you can bet I’ve already done the research of which coffee shops I’ll be visiting while I’m there (although if there’s any city where the list of best coffee shops may seem a bit overwhelming to tackle, its NYC). The rest of this post is where I have been looking for my “hygge” perhaps helping you find yours if you are ever in the area or are just looking for a new favorite spot. The amount of independent coffee shops in the city are exponentially growing which is why I’m going to divide the list of my favorites. This will serve as a mini-series and in a few months (and a few more coffee shop stops), you might get another part (with enough popular demand, of course). I’ve written the below list by location to make it easier to orient, however some bias might have poured in. To help you choose which to try first, I’ve also given each coffee shop a superlative of sorts. Bow Tie Café is (currently) my favorite. Located in the heart of Mount Adams (at the intersection of St. Gregory and Pavilion Street), this café is a hidden gem of the city. The combination of the great coffee, the atmosphere, the interior of the place and the phenomenal food is what makes Bow Tie my personal favorite. Just thinking about their breakfast burrito is making me hungry. This café was founded by Dhani Jones (a retired Bengals player) as well as the Bow Tie Cause which is an organization that raises money for leukemia associated charities. The café serves Intelligentsia Coffee, several types of espresso drinks, smoothies and many other items. 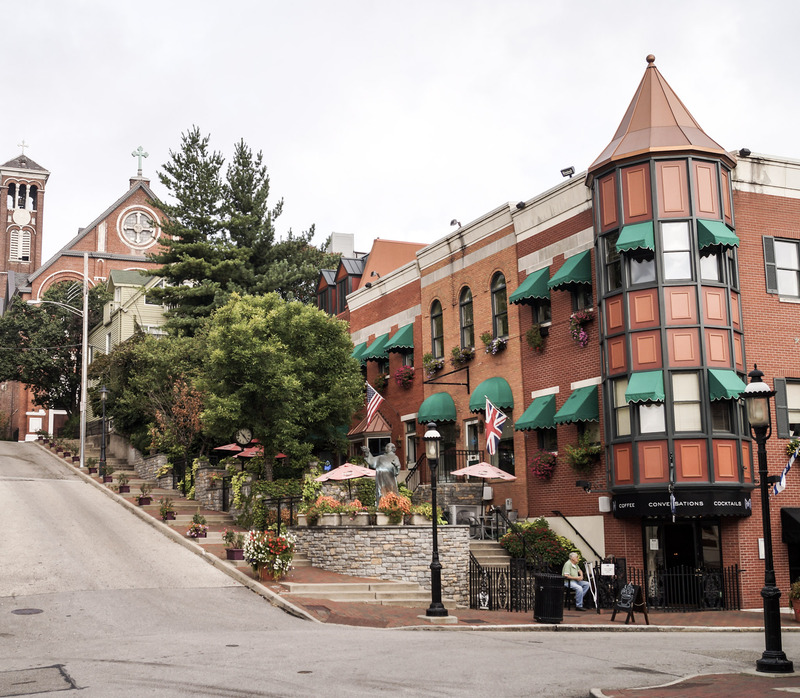 Stop by the café, grab some coffee and then make your way up the Mount Adams steps for an incredible view of the city. You won’t burrito how good it is. 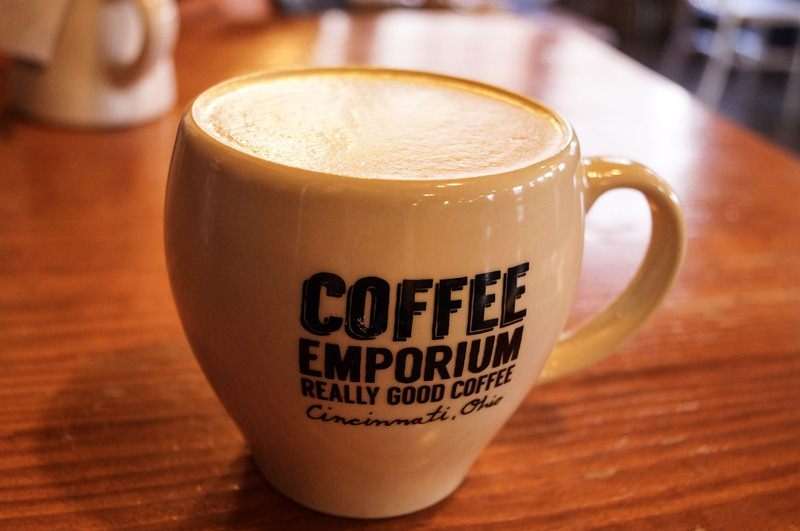 If you live in Cincinnati, chances are you have probably heard of the Coffee Emporium. 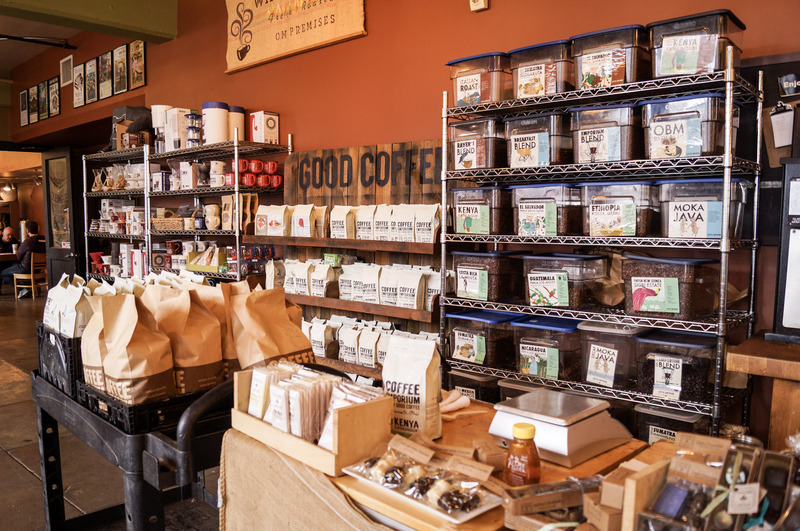 Located on the break between OTR and downtown, Coffee Emporium is so much more than a coffee shop as it’s a place to get all kinds of Cincinnati souvenirs and unique gifts. What draws a crowd is the plethora of different whole beans and ground coffee that you can buy (bourbon barrel aged coffee, anyone?) at the shop. There are plenty of places to sit as there is more than one room available for the customers so no matter how busy it gets (and it gets quite busy) at Coffee Emporium, there’s always room for everyone. There is quite a selection of types of tea as well as the coffee and espresso drinks. The vanilla latte is my personal favorite (it’s my go-to drink at pretty much every coffee shop) and they do a great job with theirs at Coffee Emporium. This one is located between east and west campus at the University of Cincinnati (on Short Vine) and has several floors with plenty of tables and spaces to sit and study. 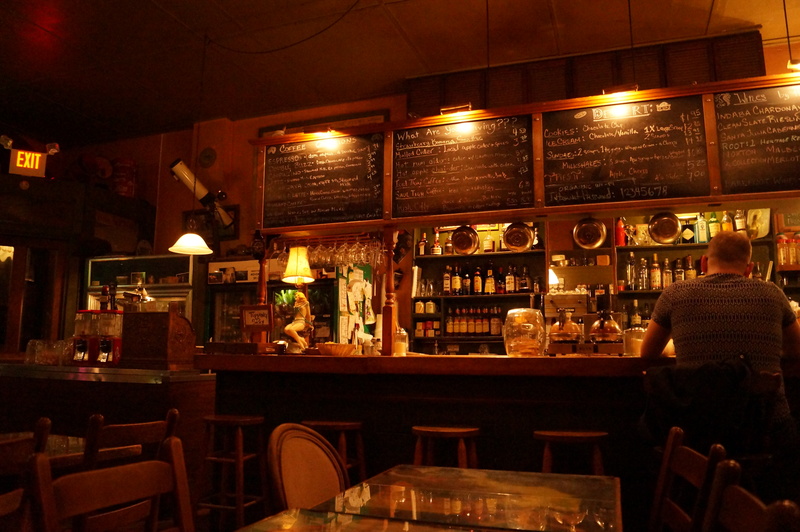 At night, this coffee shop has live music (the genre depends on the night) so another reason to check this place out. The coffee is great, the price is right (if you get coffee in one of their signature ceramic mugs, you even get free refills) and the atmosphere is very much “college coffee shop”. It is quiet during the day, so perfect for studying and you can choose from studying leisurely from a couch or sitting with your computer plugged in at an actual table. This coffee shop is not for those who like to sleep, as they are only open at night! Your typical coffee shop also doesn’t serve alcohol or even better, alcohol flavored ice cream. The ambiance of the place can be described by the words “dark and mysterious”. Something about this place is super intriguing and I enjoy being there quite a bit. 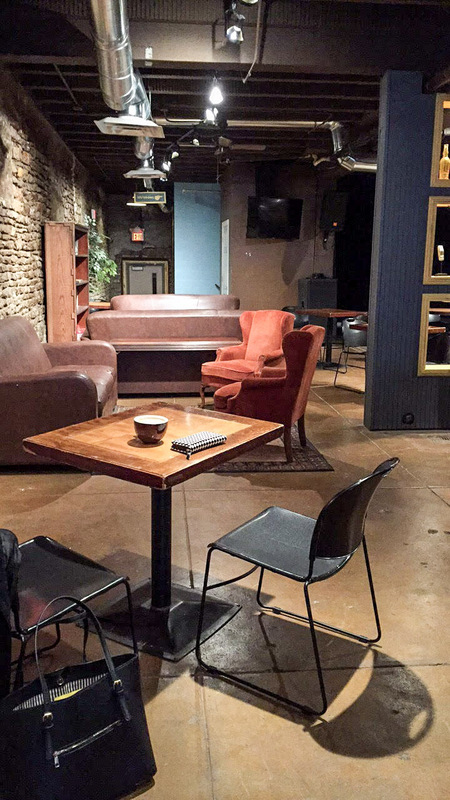 Located in Clifton aka University of Cincinnati’s playground, this place is great for a late-night study session or that awkward Tinder date you’re not quite sure about since it’s one of the only coffee shops in the area that is open at this time. There are all kind of plants all around the shop, some blocking the view outside the windows which makes the atmosphere even darker but this is exactly the draw of this place. There is also a full bar at the place and you must be at least 18 to enter after certain hours. White or Black Russian, anyone? This one is probably the best coffee shop (so far) based on interior design. The wallpaper and the lights hanging around the coffee shop definitely draw you in and brighten the mood. 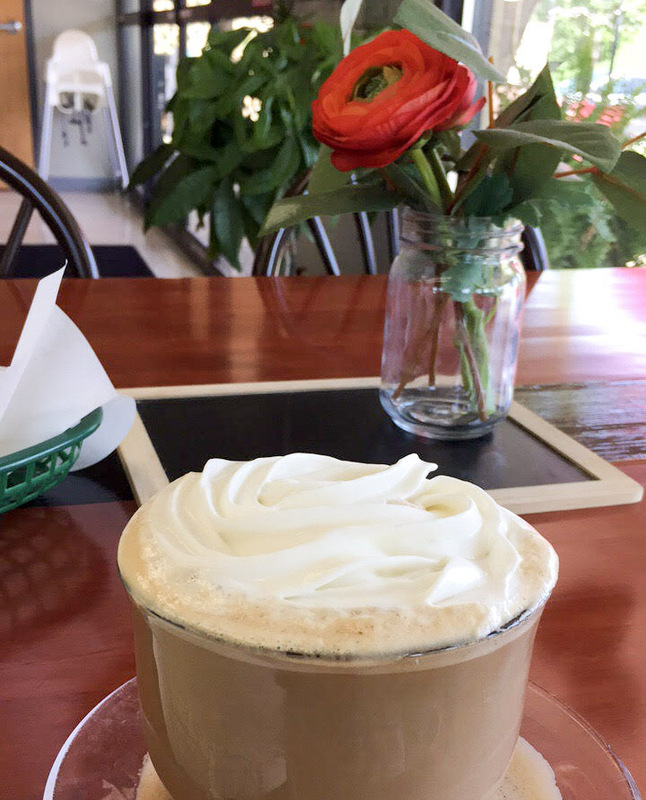 Located in Oakley (with a parking lot, so don’t worry about having to find street parking), this “petite” coffee shop is one to check out if you’re an espresso nut. The baristas are really cool at this place which is always a definite plus. The vanilla latte (a guilty pleasure of mine) was phenomenal and I have no choice but to give an A+ in the latte art department. However, there’s not a lot of room to sit, especially if you come at a popular time so maybe don’t bank on getting a spot to sit and read or to meet up with someone unless you’re going at more of an “off time” (but is there really a bad time for coffee?). This is another one of those places in which if coffee isn’t enough to get you through your day, you can satisfy your craving with wine. 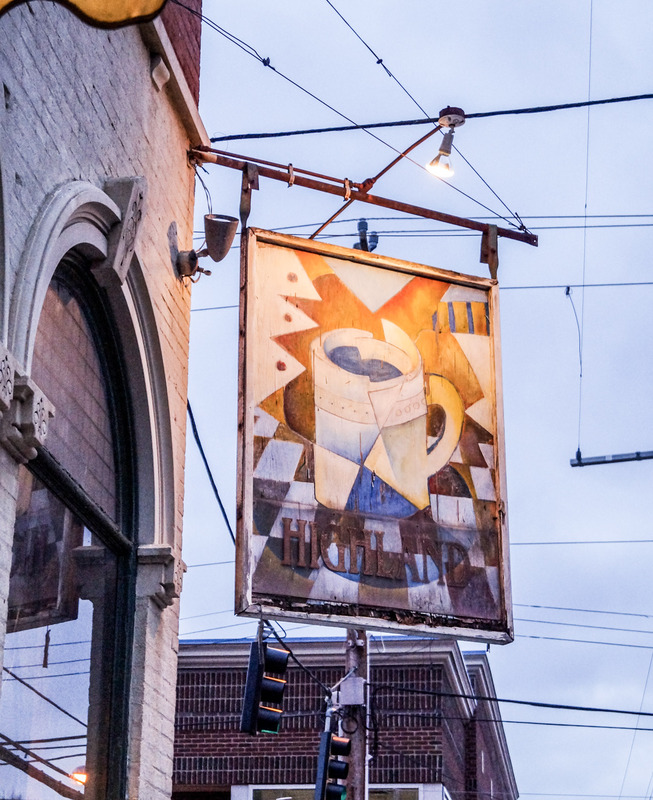 Kid Coffee has a couple locations in Cincinnati two of which are in Mason and in Hyde Park. Although that technically makes it more of a chain than a “mom and pop” coffee shop, it doesn’t feel like one at all when you’re actually there. The Mason location is in downtown Mason and the parking lot is easy to miss so you have to be more vigilant when trying to find this place. Their specialty latte list is the most impressive I’ve ever seen (27 flavors available in both hot and iced) and the latte I tried (The Nutcracker – hazelnut and Irish Cream) brought me back to the holidays in December. I only stopped by the Mason location which has multiple rooms, some with booths and bar stools and others with couches and armchairs so something for everyone. If you aren’t a latte purist, but like a little flavor with your espresso, this is a place for you. 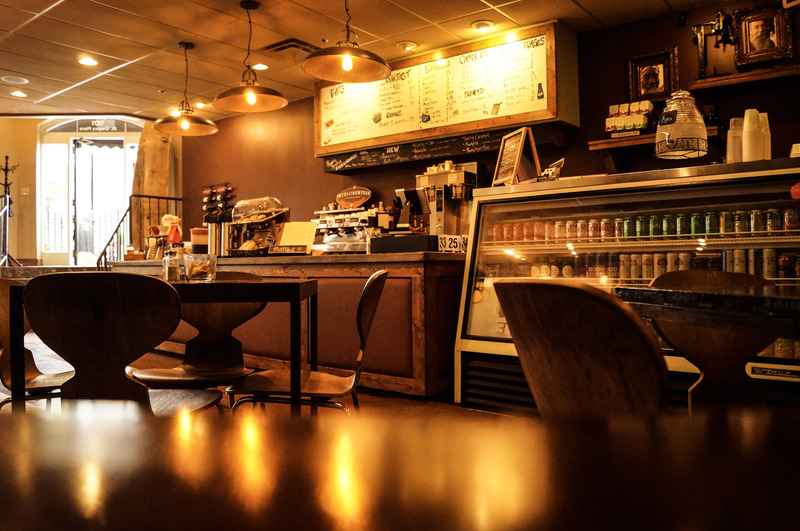 Located in West Chester by the Voice of America Park, this coffee shop can be described as “bright”. With gigantic windows all around and all white decorations, this coffee shop wakes you up not only with the aromas of coffee but with the abundance of light. There are very unique types of lattes at this place (lavender vanilla latte, for example) and if you’ve been looking to try the matcha latte that you’ve probably seen on Instagram, this is the place to go. 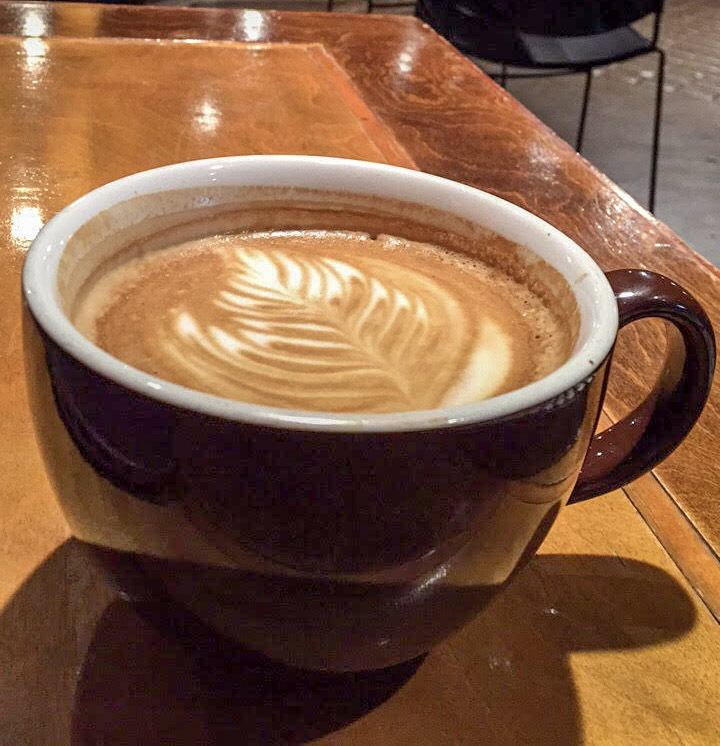 The lavender vanilla latte was not for me (mainly because I am not a huge fan of the scent of lavender) but if you’re into trying unique lattes, why not check it out? I wish their prices were lower (especially on the food and yogurt parfaits) but otherwise, a great coffee shop to try out. If you start frequenting this place, ask for a stamp card that’ll get you a free cup of coffee once you visit the shop so many times. Remember, loyalty pays not only at Starbucks! This is my most recent discovery and I can see why I’ve passed it by before… it’s located directly next to the Laden YMCA whose sign eliminates any chance of spotting the coffee shop next door. Although I would say that it’s not so much a coffee shop but a place to quench your thirst in several ways – via coffee, smoothies, bubble tea (bonus points there if you ask me), or whatever permutation in-between (unless it’s with alcohol, cause none of that here). There is indoor and outdoor seating at the location and quite an impressive menu for both food and beverages. The baristas at this place are super friendly and are constantly chatting up all the customers which I loved. 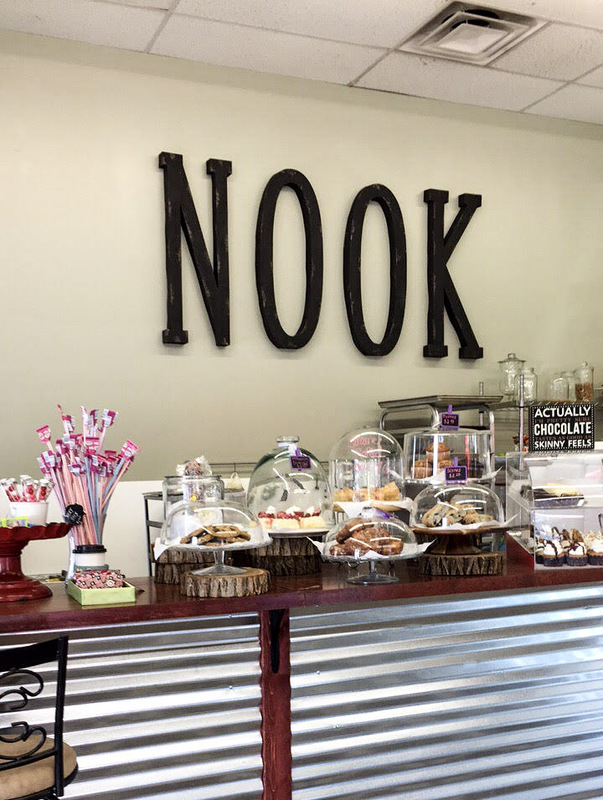 So, if you’re in the Loveland/Landen or even Mason area, I would make it a point to stop by The Nook on a sunny day and grab a seat at the outdoor patio. That’s it for now, what are some of your favorite places? Keep an eye out for me over the next few weeks checking out new places and drinking yet another latte trying to figure out one of life’s mysteries: did I have too little coffee or too much? As always, thanks for reading and stay caffeinated, my friends. What is on your list of NYC coffee spots to try? Culture Espresso and Cafe Grumpy are intriguing! What do you recommend? More great spots to try are the Coffee Emporium in Hyde Park and Coffee Please in Madeira. Both phenomenal drink lists if you’re friend or date isn’t “into” coffee. I also judge a place on how good their pastries and snack options are. Coffee isn’t complete without a piece of flakey buttery goodness.